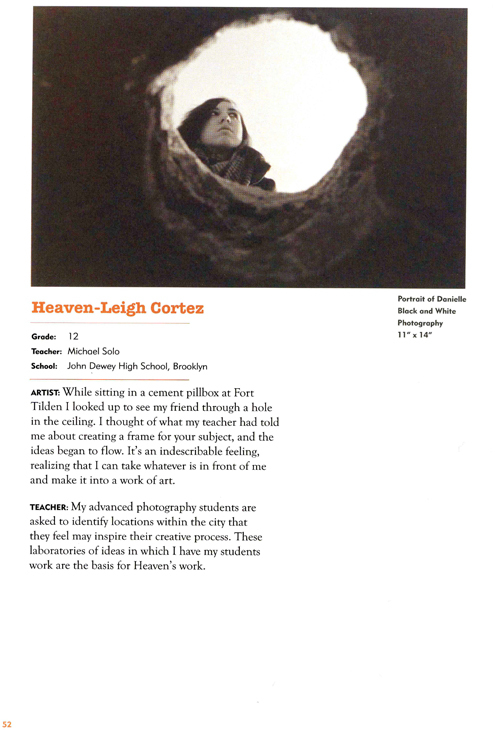 Congratulations to Michelle Kaplun, Layla Almasadzhidi, Alexei Nemchenko, Ada Rong, and Heaven-Leigh Cortez whose photographs were exhibited at the Newhouse Gallery at Snug Harbor in Staten Island. This exhibition highlighted the best artistic practices by students and their art educators from districts 20, 21, and 31. The exhibit was on view during the month of May. Congratulations to Dara Stroude and Heaven-Leigh Cortez who as finalists in the P.S. Art 2008 competition are included in a catalogue and in an exhibition at the Metropolitan Museum of Art in Manhattan. Dara and Heaven-Leigh are two of only 55 students city-wide to have reached the finals from more than 800 entries. 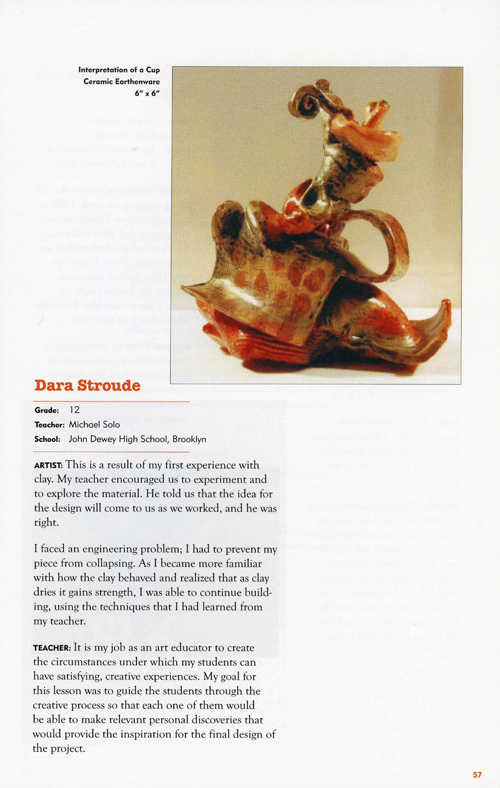 In addition to having their work exhibited at the Metropolitan Museum of Art, both Dara and Heaven-Leigh were presented with a $500.00 scholarship to further their art education. P.S. 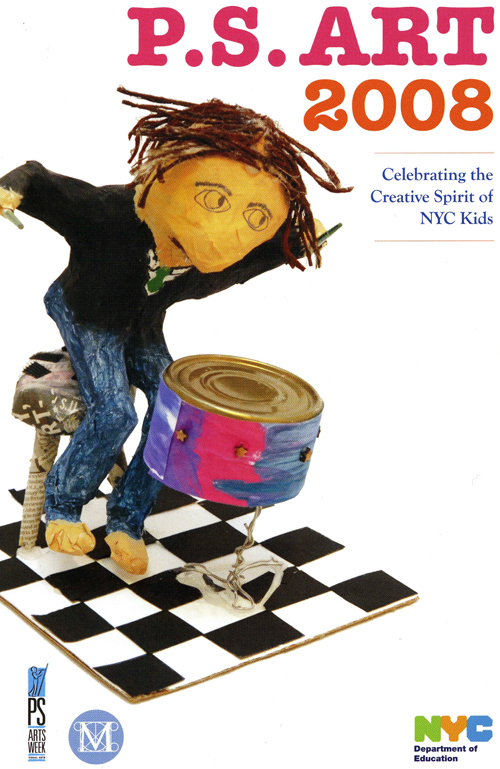 Art celebrated the outstanding work of New York City's public school art students and their art educators. The exhibition at the Metropolitan Museum of Art will be on view from June until August, 2008. Congratulations to senior Alexei Nemchenko who has been accepted to Art Lab's Summer Studio Program on a full scholarship. Alexei will spend six weeks as a student at Art Lab which is located in the historic Snug Harbor complex on Staten Island. Congratulations to junior Gerardo Mendez who was selected to participate in The Museum of Modern Art's high school summer program, In The Making: Summer at MoMA. Gerardo will spend the summer participating in the On the Edge: Experiments with Comtemporary Art class.